New physics and phenomena of how active structures interact with fluids have generated considerable excitement in the past decade. Uncovering physical mechanisms of the reciprocal dynamics in the biological/synthetic active systems require developing ad-hoc theoretical models and simulation methods. In this talk, I will discuss multiscale modeling and simulation of a bio-active synthetic fluid made from a microtubule/motor protein assembly. I will illustrate how the local particle-particle interactions lead to self-organization and manifest themselves as large-scale collective motions due to a cascade of hydrodynamic instabilities. Then I will show that appropriately applying rigid and soft confinement can effectively guide active fluids to perform useful mechanical work. Next, I will discuss simulation and design of bio-inspired soft robotic swimmers powered by smart materials using a fictitious domain/active strain method. I will demonstrate that this computational framework is suitable for resolving the fully-coupled interactions between fluid flows and active soft structures in a wide range of applications in engineering, biological and biomedical research. Dr. Tong (Tony) Gao received the B.S. and M.E. degrees in Theoretical and Applied Mechanics from the University of Science and Technology of China (Hefei) in 2004 and 2007, respectively. He obtained the Ph.D. degree in Mechanical Engineering at the University of Pennsylvania in 2012. Then he worked as a research scientist in the Applied Mathematics Lab at the Courant Institute of Mathematical Sciences of the New York University. In September 2015, he joined the faculty at Michigan State University as an assistant professor in Department of Mechanical Engineering and Department of Computational Mathematics, Science, and Engineering. 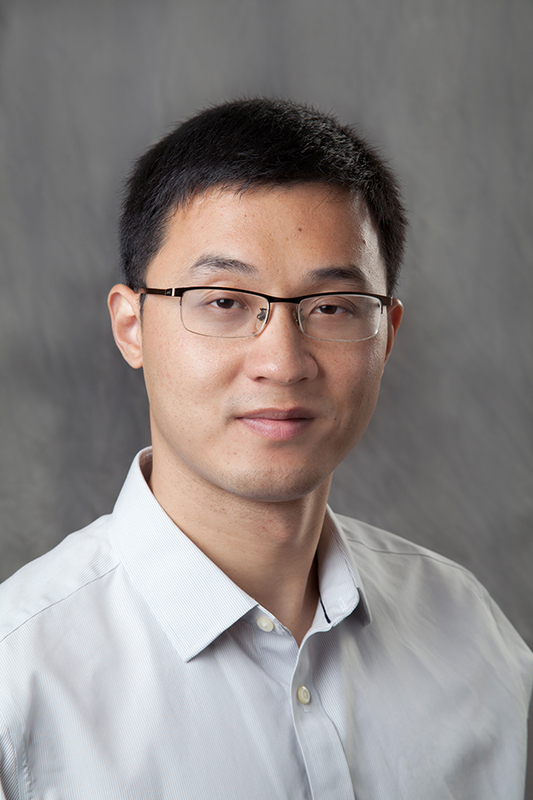 Dr. Gao works in diverse areas in fluid mechanics and soft matter physics through theoretical modeling and numerical simulation, with a particular focus on multiphase flow, active matter, liquid crystal, and fluid-structure interaction.